This week’s Tasty Tuesday had me sprinting to Jimmy John’s. 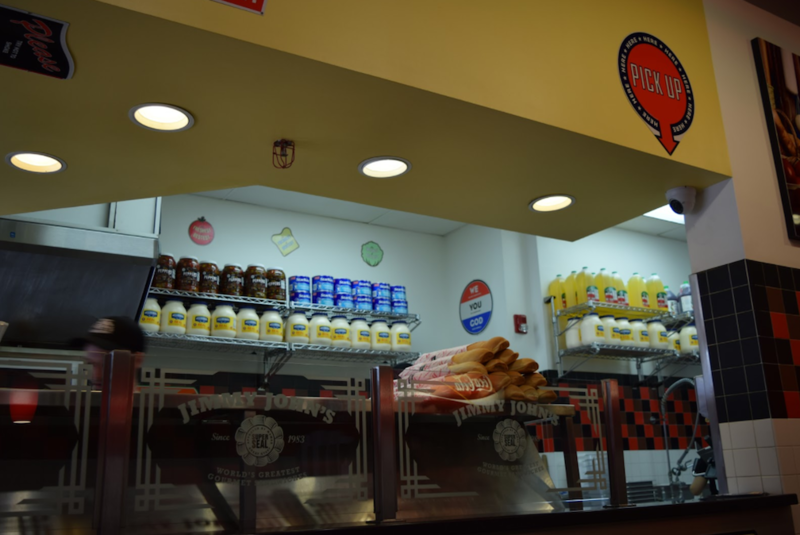 Jimmy John’s is famous for its delicious, fresh subs and their freaky fast service and delivery! 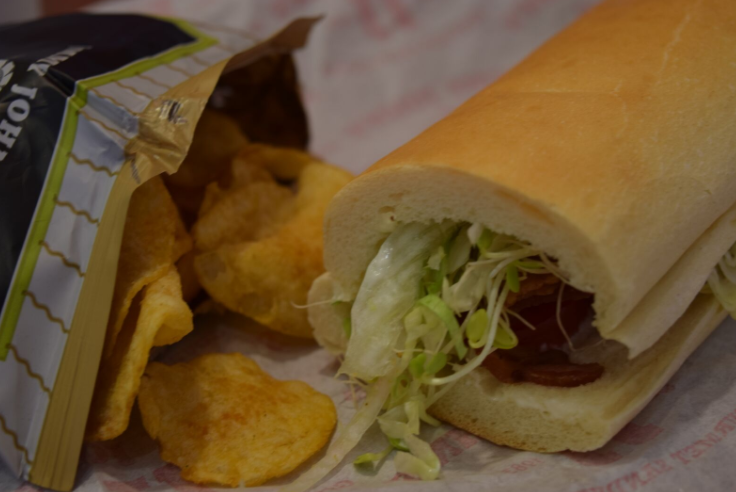 I got a J.J.B.L.T., made with Jimmy John’s delicious homemade French bread, bacon, lettuce, tomato and mayo. I added sprouts, onion, and oregano (some of their complementary toppings you can add onto any sub) and a bag of jalapeno flavored kettle-cooked “Jimmy Chips” to my meal. My order was truly completed freaky fast! The guy who was standing in line behind me, ordered a sub, and was filling up his cup with soda… his sub was ready for him before he was even finished getting his drink! I was impressed. My sub was amazing! The bread was so delicious, and I now understand why many of my friends rave about the Jimmy John’s bread. The bacon was crispy, the vegetables were fresh and crisp, and the mayo was just the right amount. My jalapeno chips were flavorful and added that perfect crunch to my meal. 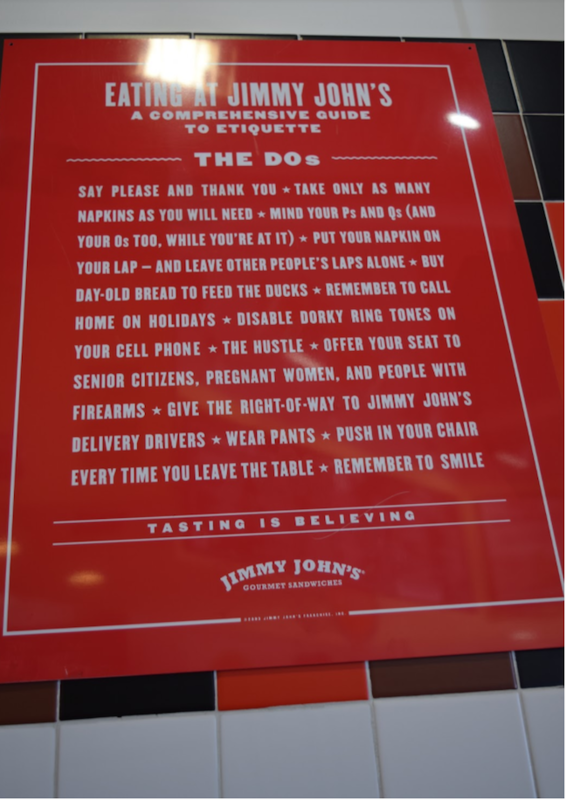 As I ate, I couldn’t stop reading all of the signs around the restaurant, with witty captions about why you should eat more Jimmy John’s (including one about sagging your pants!). It was a fun environment with music I kept singing along to playing in the background. 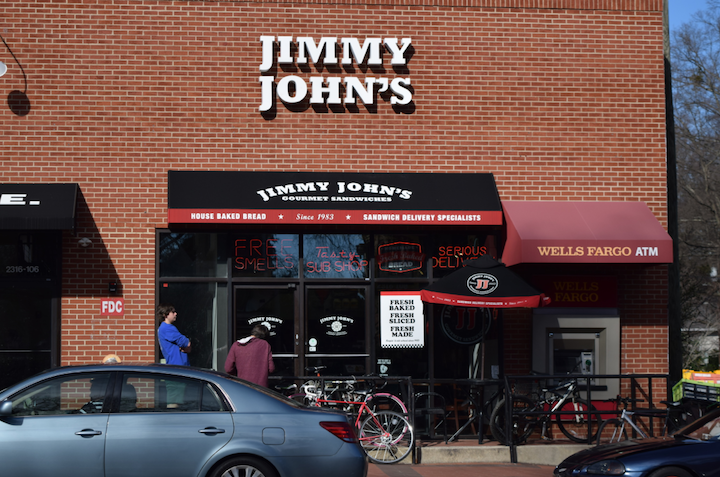 In case you’re not feeling the walk to the store, Jimmy John’s also delivers! They’re known for freaky fast delivery, and they will bike to drop off your food. I’d definitely recommend Jimmy John’s if you’re looking for a quick, delicious, healthy meal on Hillsborough Street.